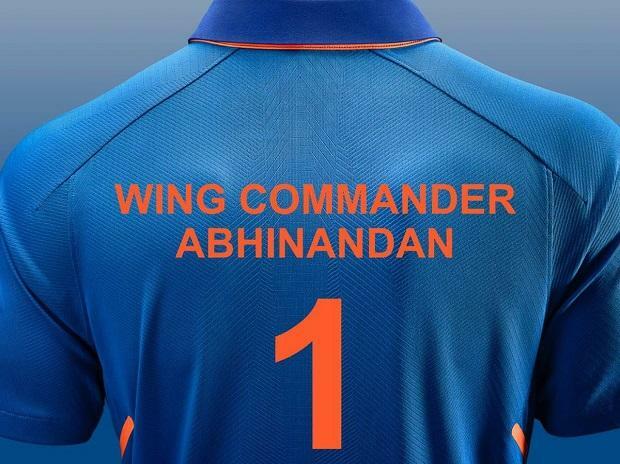 The BCCI on Friday put out a picture of the Indian Team's jersey bearing IAF Wing Commander Abhinandan Varthaman's name and number 1 on it as a tribute after his return to the country from Pakistan. Varthaman returned home from Pakistan on Friday to a hero's welcome, two days after he was captured following a dogfight when his MiG 21 was shot down. "#WelcomeHomeAbhinandan You rule the skies and you rule our hearts. Your courage and dignity will inspire generations to come #TeamIndia," BCCI wrote in its twitter handle along with the picture. "A hero is more than just four letters. Through his courage, selflessness and perseverance, OUR HERO teaches us to have faith in ourselves. #WelcomeHomeAbhinandan," batting legend Sachin Tendulkar wrote in his page. "Real Hero. I bow down to you. Jai Hind," he wrote. "How proud we are to have you ! Bow down to your skills and even more your grit and courage #WelcomeBackAbhinandan . We love you and are filled with pride because of you. #WeAreSupposedToTellYouThis," he wrote along with the picture.